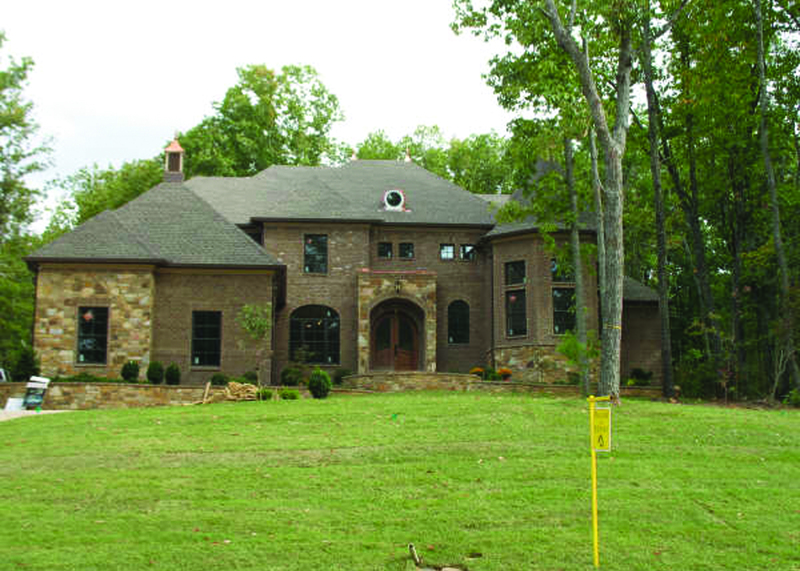 BuildBlock ICFs Showcases French Country Style Design in this lovely home. It is a classic example of the old french country style design from the multiple platform walkway to the arched front entrance. You appreciate the stone and brick work, the turret, the copper finials, as well as the 30+ windows on the house that provide a view of the beautiful nature surrounding the house. Upon entry, you will notice the stairs leading to the turret room, and then further to the piano balcony and upstairs floor which features a mother-in-law suite, a game room, and a small kitchenette and bar leading to the theatre room. Other features include four decorative columns on the first floor as well as a herringbone rug design wood floor in the dining room. ICF forms were used to showcase the potential of working with BuildBlock ICFs including design features such as arched doorways, as well as energy efficiency, and quiet interiors. 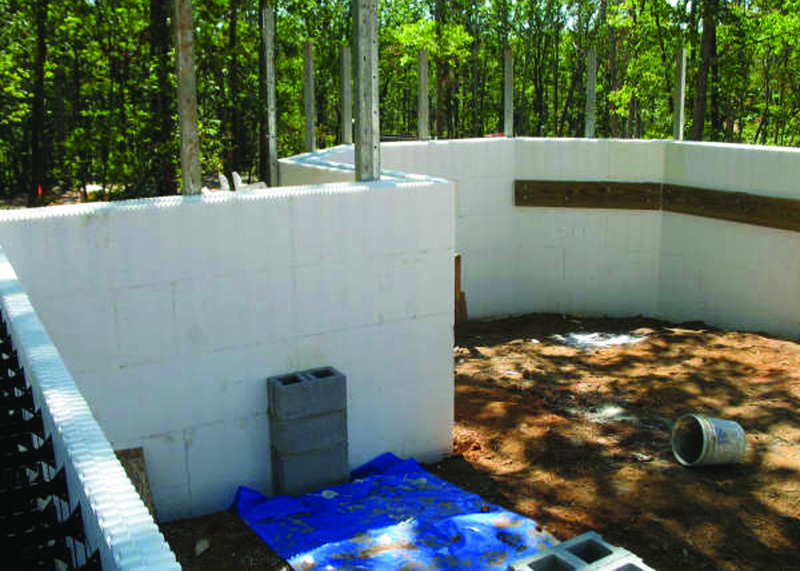 All exterior walls are ICF , creating a complete ICF envelope. The house has spray foam insulation in the attic as well as all exposed walls, plus a conditioned crawl space. The first few months, Jan-Aug 2009 the utility bill has averaged about $183.90 for the 5,800sqft home. 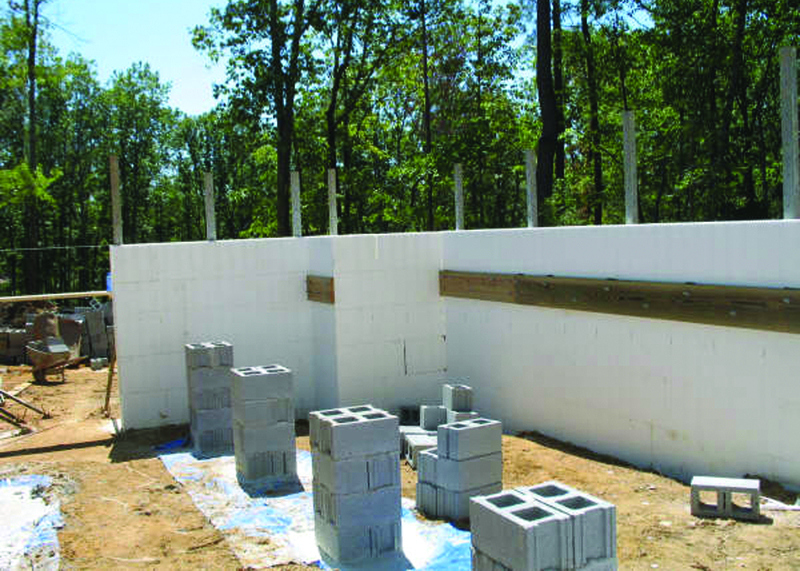 The contractor for this home, Danesh Foroughi with Stonecraft Construction, is a master distributor for BuildBlock ICF forms. 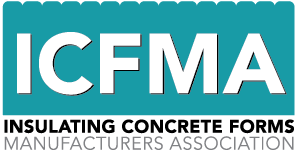 The idea was to create a home to showcase the potential of building with ICF. 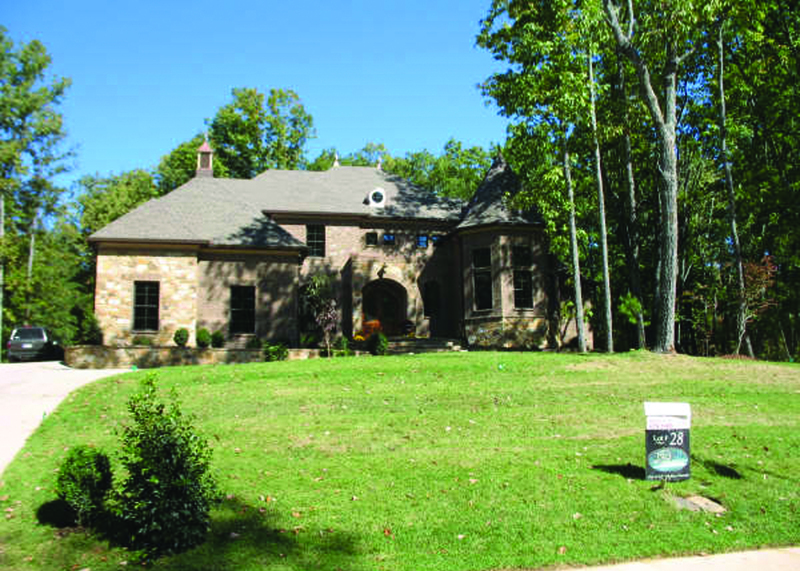 The exterior brick and stone finish materials chosen were to allow the home to fit natural into the surrounding landscape. 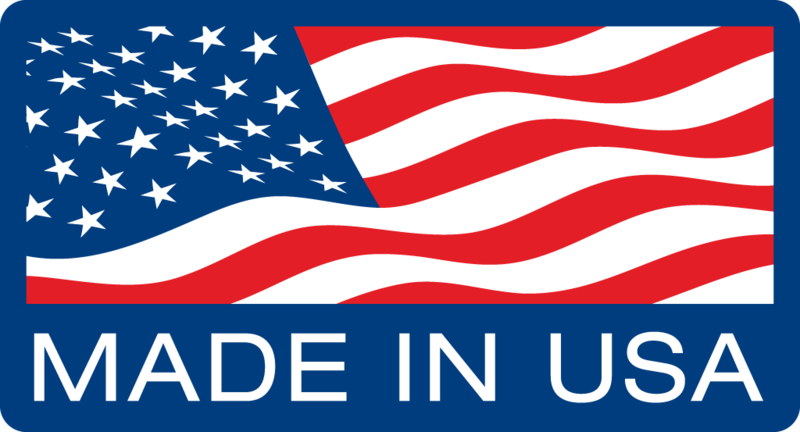 There were very few issues involved in the construction of this home mostly because the contractor was experienced in building ICF homes and working with local building codes. The first challenge in building this home was in taking an architecturally designed home for a wood frame construction and converting it to fit ICF walls without losing the integrity of the interior spaces or the design of the exterior. The challenge with the ICF wall constructions for three levels, especially as the turret stands on a level on it’s own, was handled by careful evaluation of the best methods to efficiently pour the concrete.The garage sits lower than what was designed in the original plan to allow for a less steep driveway. These changes provided the opportunity to utilize the space above the garage to create a dedicated home theater room. In the interior design layout, it was noted that there was space lost in the original design, and changes were implemented in the ICF plan to make use of all space in the house; including extra long closets and storage spaces. Modifications where also made to the plan to allow for an elevator shaft to lead to the mother-in-law suite, plus dedicated stairs to access the attic space. 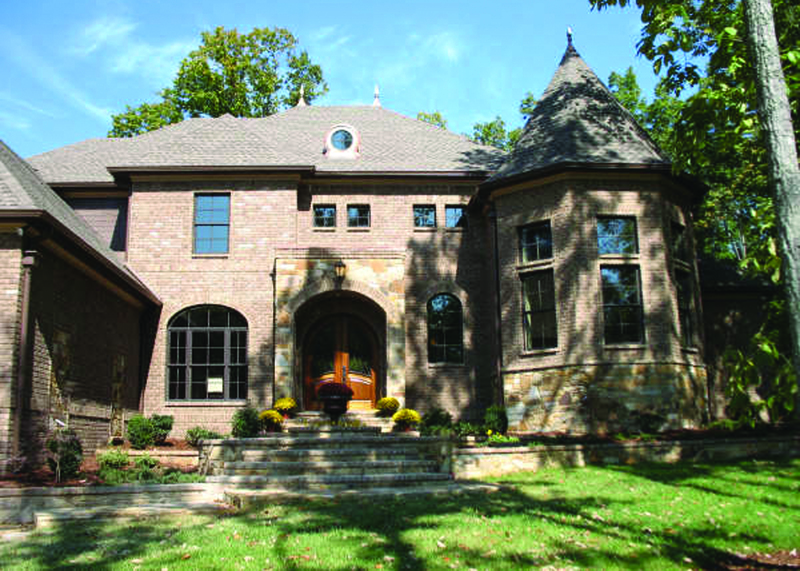 This home shows that an architecturally designed plan can be converted to an ICF structure and include all the special design features such as the turret room and arched windows and entry ways. 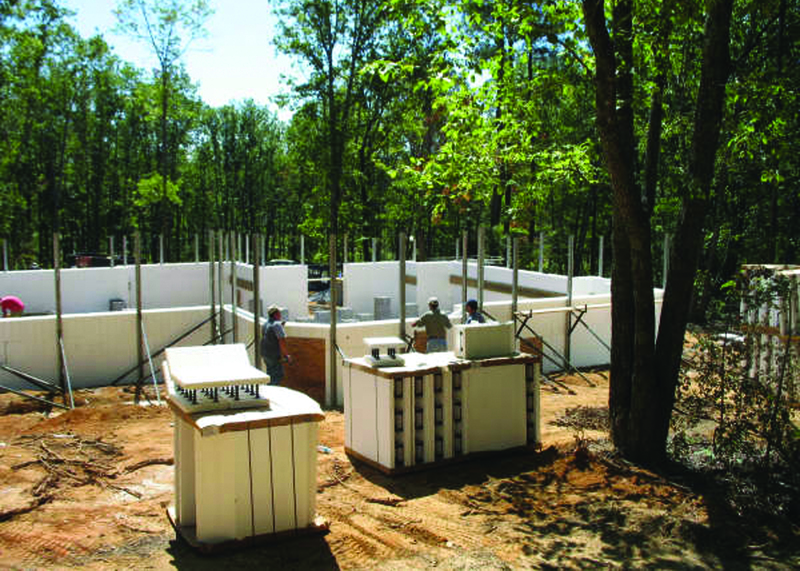 You can take a complex and upscale design and utilize the ICF materials to construct a beautiful, strong, and energy-efficient home.